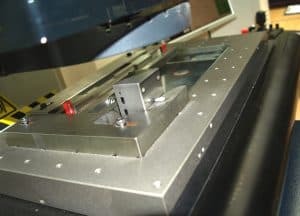 Precision stampings specialist Batten & Allen Ltd is using a range of OGP SmartScope machines for the measurement of its miniature parts. Among the systems is a recently installed SmartScope Vantage 250 multi-sensor measuring machine that is helping the company maintain quality excellence for a host of customers in sectors that include electronics, medical, automotive, telecommunications and solar energy. Based in Cirencester, Gloucestershire, Batten & Allen deploys a programme of continuous investment for manufacturing, testing and inspection, along with investment in the competence of its workforce. It is this progressive philosophy that sees the privately-owned company compete successfully with rivals in the Far East and elsewhere for contracts to supply component quantities that run into hundreds of millions a month. “If we encounter any disadvantages due to lower labour costs overseas, we manage to offset these by deploying a planned programme of investment in the latest manufacturing and metrology systems,” explains Phil Purser, Batten & Allen’s Management Systems Representative. A good example of Batten & Allen’s commitment in this area can be seen within the company’s quality department. 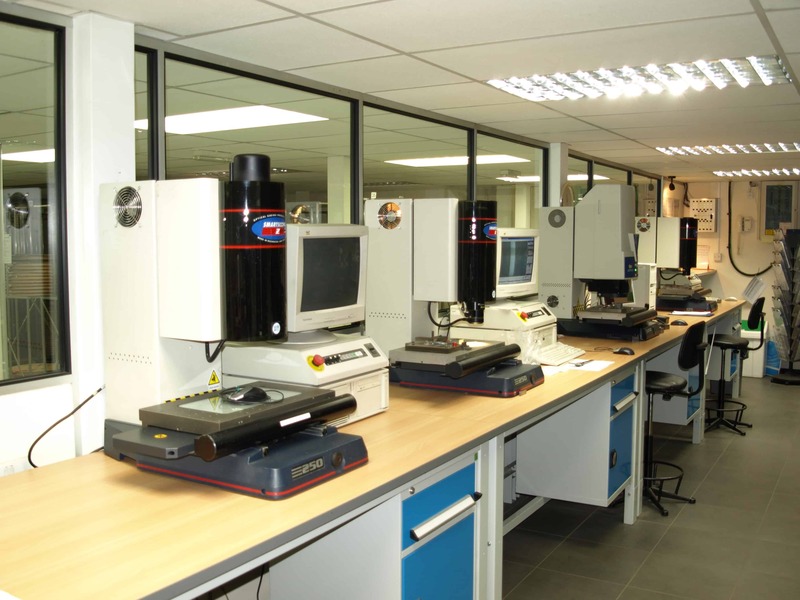 Here, an array of OGP SmartScope video-based coordinate measuring machines (CMMs) are deployed to great effect, measuring components and features beyond the capability of many competitor machines. In 2004 an OGP SmartScope ZIP 250 was installed at the 100-employee company to perform the same task but in a single operation. This was made possible through the advantage of z-axis functionality. Such was the success of the ZIP 250 that two identical models have since been added along with a SmartScope Flare 250 coordinate measuring machine. The company’s most recent acquisition, a SmartScope Vantage 250 multi-sensor measuring machine was no exception, but again Batten & Allen decided that OGP technology was the best match for its requirements. The SmartScope Vantage is a high accuracy video measurement machine featuring innovative TeleStar® zoom optics, patented illumination and field proven edge detection algorithms to ensure measurements are made to the tightest tolerances. TeleStar® optics are diffraction-limited, colour-corrected and telecentric for superior imaging, significantly advancing the accuracy capability for video metrology. Furthermore, SmartScope Vantage is equipped with 0.1µm scales and a supremely stable metrology platform to guarantee precision. Components at the ISO9001 and ISO14001 accredited company are stamped on automatic presses that also produce any forms required in the same hit. Dimensional measurement is required to check features that include diameters, pitches, widths, thicknesses, angles and form positions. With many of the parts and features being so small, illumination is a critical feature of successful measurement. The SmartScope Vantage 250 multi-sensor measuring machine incorporates patented illumination technologies that include a fixed array of LED lights that track the x-axis and provide square-on profile lighting. Surface illumination is provided by SmartRing™, OGP’s patented vector light that gives total control of lighting angles, making it easy to pick out important features for repeatable and accurate optical probing. The excellent illumination also gives Batten & Allen the opportunity to take crisp and clear component images. This is handy when products are at the development stage and the company needs to discuss certain issues with the customer. Images can be sent by email and discussed over the telephone. SmartScope images are also used to create visual aids for personnel in the stamping shop. Images showing potential problems can help lead to early identification of a process wandering from its tolerance limits. While Batten & Allen currently only uses video measurement functionality, the SmartScope Vantage series has been designed from the ground up as a multi-sensor system with the ability to carry other probes, such as touch and laser probes, without compromising performance. In fact, Batten & Allen has just placed a new order for a SmartScope Vantage 250 coordinate measuring machine complete with laser probe. The Vantage 250 is programmed by Batten & Allen’s quality engineers using OGP’s intuitive MeasureMind 3D software. Fully automatic measurement routines can be programmed in minutes and data outputs can be customised to meet specific reporting formats or used by analysis packages to compute 3D surface profiles, part-to-CAD comparisons, SPC or for reverse engineering. Components manufactured by Batten & Allen are produced on automatic, high speed presses. Specially designed tool sets typically produce a group of components in a single hit. The parts are then spooled on to a reel ready for the customer. Samples are provided at the end of each reel for all products. Each sample is visually inspected but dimensional checks are only performed in line with the relevant sampling plan (which is product-specific). Mr Purser says that the OGP machines have proven very reliable as the company has experienced very few issues with the ZIP models, which have now been in place for several years.